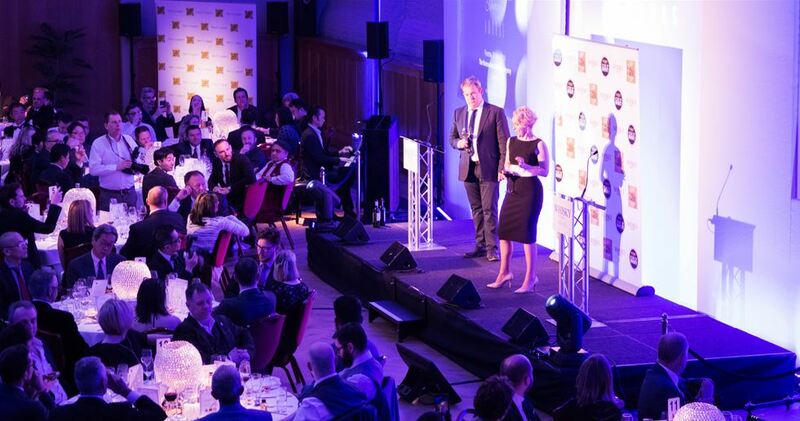 People, producers and retailers from the Irish whiskey world were left with plenty to celebrate as the whisky world gathered in London, UK, for the 2019 Whisky Magazine Awards. On a night that saw Teeling’s 24 Years Old take home the title of World’s Best Single Malt in the World Whiskies Awards, winners from Ireland were also celebrating in Whisky Magazine’s Icons of Whisky Awards too. Celtic Whiskey Shop took home Single Outlet Retailer of the Year, Jennifer Nickerson won Irish Whiskey Brand Ambassador of the Year and The Market Bar Group was awarded Bar Group of the Year. However, the awards also recognised the growing strength and reach of whiskies from across the globe, with South Africa’s Distell winning the prestigious Distiller of the Year, which is sponsored by Glencairn Crystal. DFS Group, Singapore was awarded for its excellent GTR offering with Travel Retailer of the Year and John Rochfort from The McLaren Vale Distillery was presented with Distillery Manager of the Year. For the first time in 2019, Whisky Magazine included China as a standalone region that would provide a first stage for its Rest of World Awards. The region produced its first global winner, with Lawrence Xie from the Distilled Spirits Council of the United States awarded American Whiskey Brand Ambassador of the Year. Along with the World Whiskies Awards and Icons of Whisky Awards, Whisky Magazine also inducted two new members into its Hall of Fame, sponsored by Amorim Top Series. Inductees 57 and 58 were Angela D’Orazio of Mackmyra and Mike Miyamoto from Suntory. Full awards results from the World Whiskies Awards, Icons of Whisky and Hall of Fame are available in Issue 158 of Whisky Magazine and on www.whiskymag.com, www.iconsofwhisky.com and www.worldwhiskiesawards.com. NEXT STORY Whisky Magazine 158 - Awards..PREVIOUS STORY Scotland Magazine 103 out now!